A distinguished group will examine Paris in America in Paris this afternoon, at a session this 'Grrl regrets having to miss. Featured will be 2 IntLawGrrls guests/alumnae -- Professor Mireille Delmas-Marty (below left), holder of the Chair of Comparative Legal Studies and Internationalization of Law at the Collège de France de Paris, where the colloquium will occur, and Pittsburgh Law Professor Vivian Grosswald Curran (below, near right) -- as well as U.S. Supreme Court Justice Stephen Breyer (bottom left). The program will begin at 3:30 p.m. at Amphithéâtre Marguerite de Navarre at the Collège, located at 11, place Marcelin-Berthelot. Inspiring the session is the English-edition title of an 1863 book by Édouard Laboulaye, Mireille (left) explained in an interview published at page 504 of n the February 17, 2011, edition of Recueil Dalloz. Published under the pseudonym René Lefebvre, Laboulaye's Paris in America went through 35 French and 8 English editions. It is a celebratory study of American constitutionalism -- no coincidence then that, as Mireille noted, Laboulaye, in his day an adminstrator of the Collège de France, "contributed actively, along with the sculptor Bartholdi, to the realization of the Statue of Liberty." 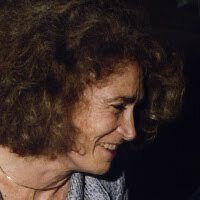 I would not say that comparative law is a 'subaltern' discipline; to the contrary, I believe that it is indispensable in an era in which the interdependence of states has become so strong that the interactions among diverse national and regional systems lie at the heart of the phenomena of the internationalization of law. ... Even constitutional judges, presented with difficult or undecided questions, have a need for comparative law. Paradoxically, this controversy demonstrated that, in this time of globalization, comparative law is on the front lines in democracies. This afternoon's program thus will begin with a tribute marking the bicentennial of the birth of Laboulaye. It's on that subject that Vivian will speak. Joining her on the panel will be Professor Jean-Louis Halpérin of Ecole normale supérieure; and Professor Bénédicte Fauvarque-Cosson (far right), of Université de Paris II and secretary-general of the Société de législation comparée. Olivier Dutheillet de Lamothe, conseiller d’État and former member of the Conseil constitutionnel, will moderate. Commenting on the transition from the 19th to the 21st century will be Columbia Law Professor George Bermann, President of the International Academy of Comparative Law. 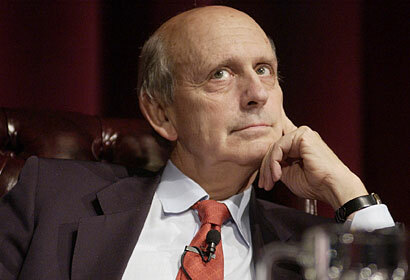 Even if he remains optimistic, Breyer recognizes that the support of the public is never guaranteed. The relation between the constitutional judge and democracy is always susceptible to reinvention. 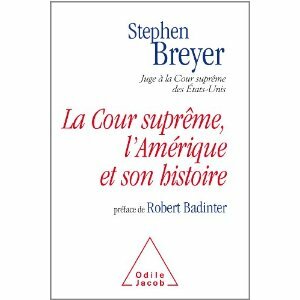 Taking part in a discussion of the book's themes will be Justice Breyer; Mireille; Guy Canivet of the Conseil constitutionnel; and Antoine Garapon, secretary-general of the Institut des hautes études sur la justice. Senator Robert Badinter, formerly President of the Conseil constitutionnel, will moderate.